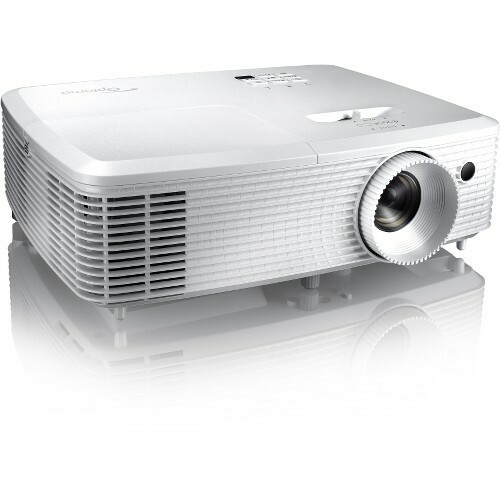 wireless Presentation And Multimedia Bright Xga 1024x768 Projection With 3,600 Lumens And 22,000:1 Contrast Ratio Extensive I/o With 2xhdmi (with Mhl), Vga-in, Vga-out, Composite, Audio-in, Audio-out, Rj-45, Usb Reader, Rs-232c Pc-free Presentations And Images; Network And Usb Display For Wired Screen Mirroring From Pc, Mac, Android And Ios Devices Powerful 15 Watt Speaker Enhances Presentations And Audio/video With Crisp And Clear Sound Usb Display Mode Enables Instant Screen Mirroring When Connecting Ios And Android Devices Minimal Maintenance With An Amazing 10,000 Hour Lamp Life Project Bright 3,600 Lumens Images In Small-to-medium Classrooms, Training Rooms And Multi-purpose Offices With The Optoma X365 Xga (1024x768) Projector. Its Small Footprint, 22,000:1 Contrast Ratio And Srgb Color Profile Support Produces Sharp And Vivid Images With Accurate Color Reproduction Perfect For Sharing Presentations In Illuminated Rooms.the Integrated Pc-free File And Image Viewer Provides Direct Viewing Of Office Documents, Pdfs, Images And Presentations From Any Usb Storage Device - Simply Plug It Into The Optoma X365. Usb Display Mode Makes Mirroring Android And Ios Devices By Connecting A Usb Cable While Network Display Enables Up To Four Pcs To Connect Simultaneously To The Projector Via Wired Networking For Greater Screen Sharing Flexibility.a 15 Watt Internal Speaker Fills The Room With Immersive Audio That Elevates Media Content And Presentations Projected With The Optoma X365. A Robust Arsenal Of Inputs Including 2 Hdmi (one With Mhl), Vga-in, Vgaout, Composite Video And Rj-45 Enables Connectivity To A Wide Range Of Devices Including Pc, Mac, Blu-ray Players And Various Set-top Box Media Players. A 10,000-hour Lamp Life Enables Many Years Of Use With Minimal Maintenance.